Կտրել են բոլոր ձեւը կտորները. 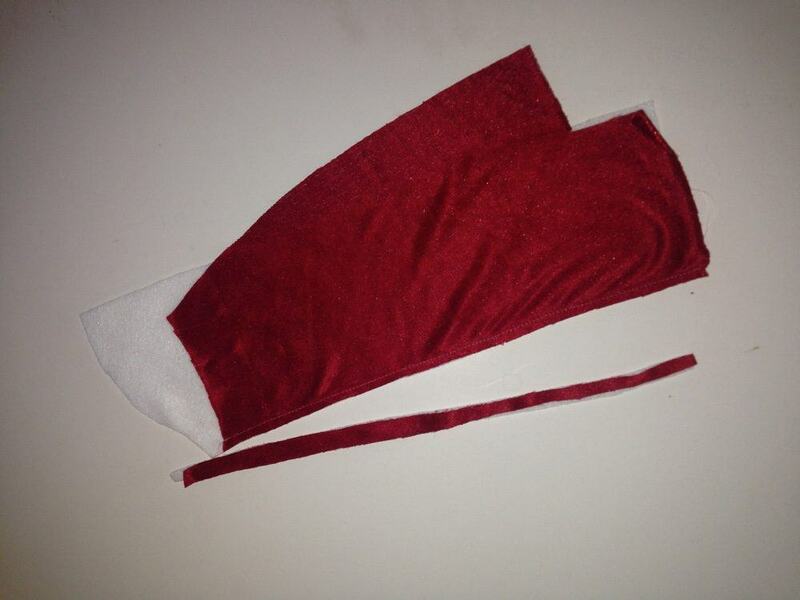 Begin by cutting the INNER CAPE then trim to the dashed line to cut the CAPE TRIM. 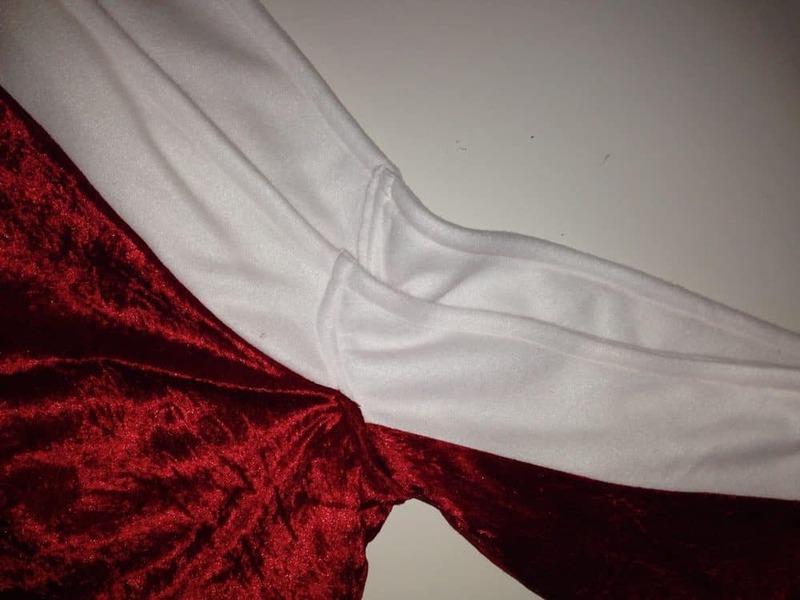 You may choose to trace off the CAPE TRIM section so you can use the INNER CAPE pattern for future use. Pin and stitch OUTER HOOD 1 pieces to the OUTER HOOD 2. 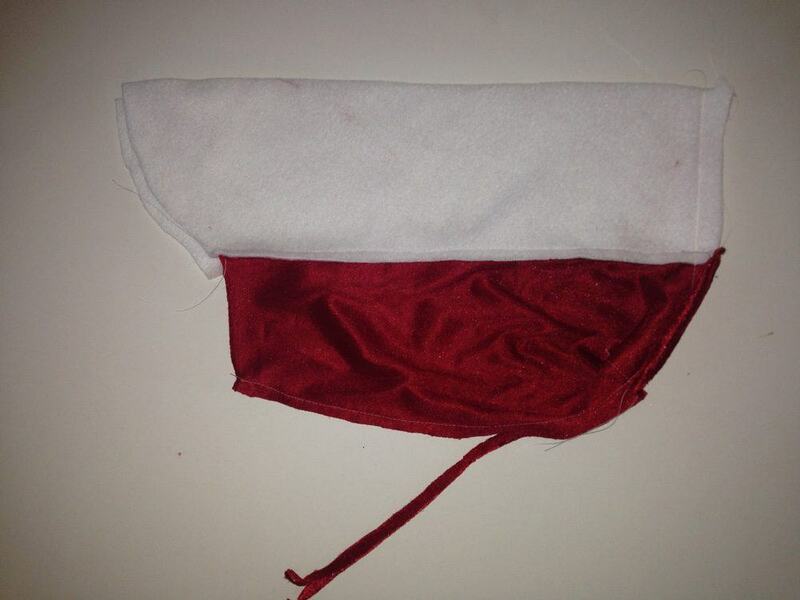 Place OUTER HOOD pieces RIGHT SIDES TOGETHER. տակառիկ, stitch and trim the seam allowance. Repeat for the INNER HOOD pieces. 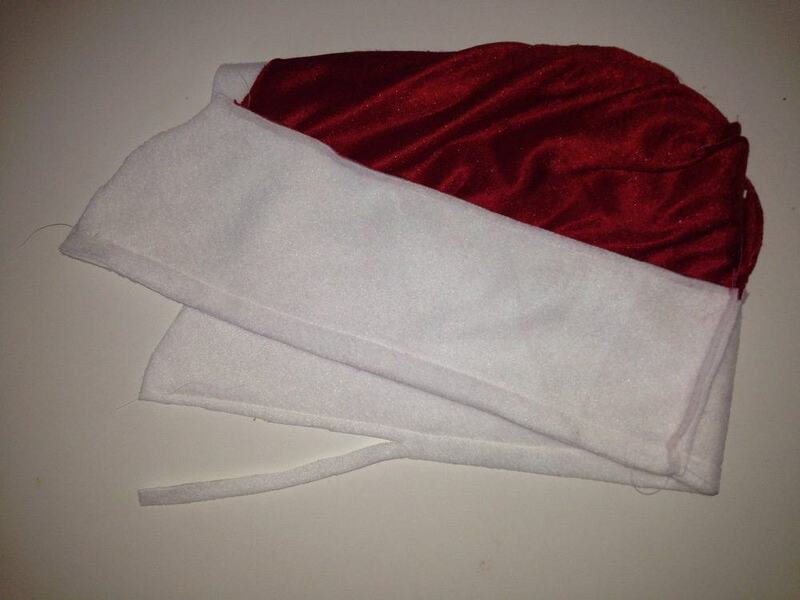 Place INNER and OUTER HOOD pieces RIGHT SIDES TOGETHER. 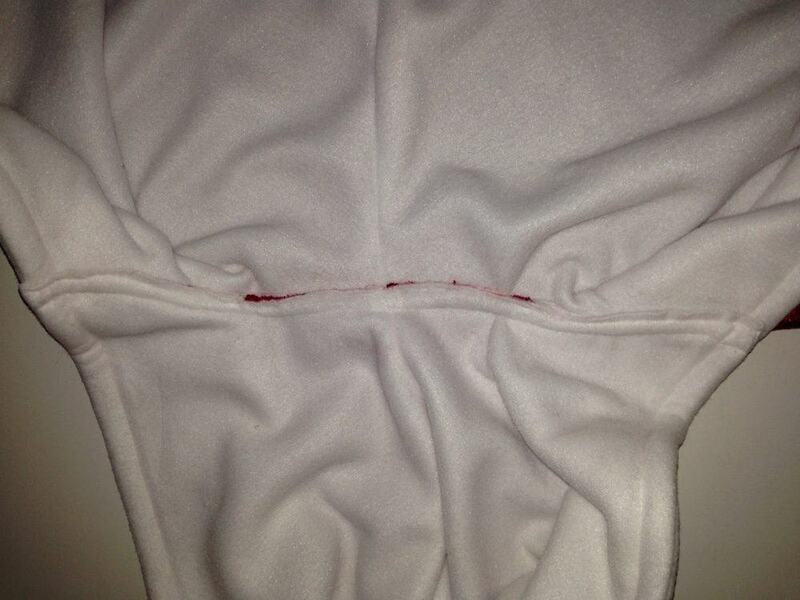 տակառիկ, stitch and trim the hood opening seam allowance. Pin and stitch the OUTER CAPE TRIM to the OUTER CAPE. Clip the seam at the center front points to allow the fabric to lie flat. Lay the OUTER CAPE pieces RIGHT SIDES TOGETHER. Pin and stitch the center back seams. Repeat for the INNER CAPE pieces. 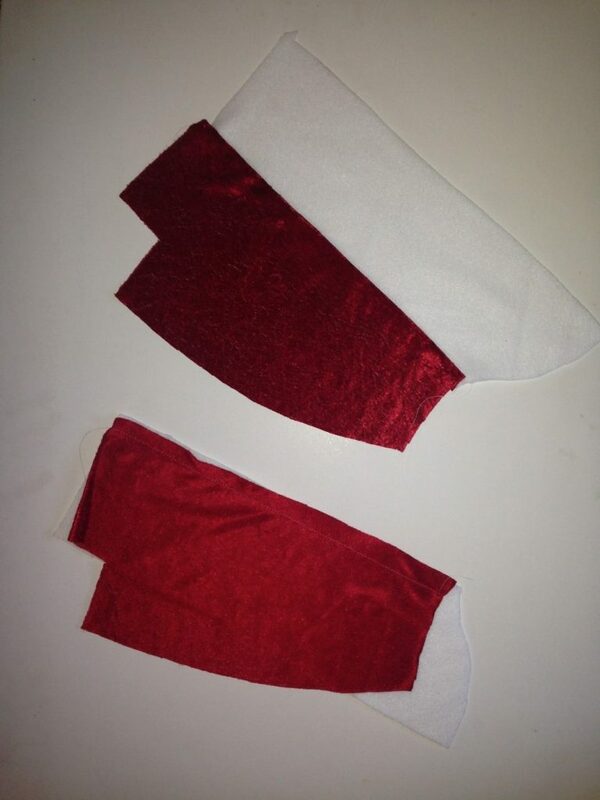 Place INNER and OUTER CAPE pieces RIGHT SIDES TOGETHER. 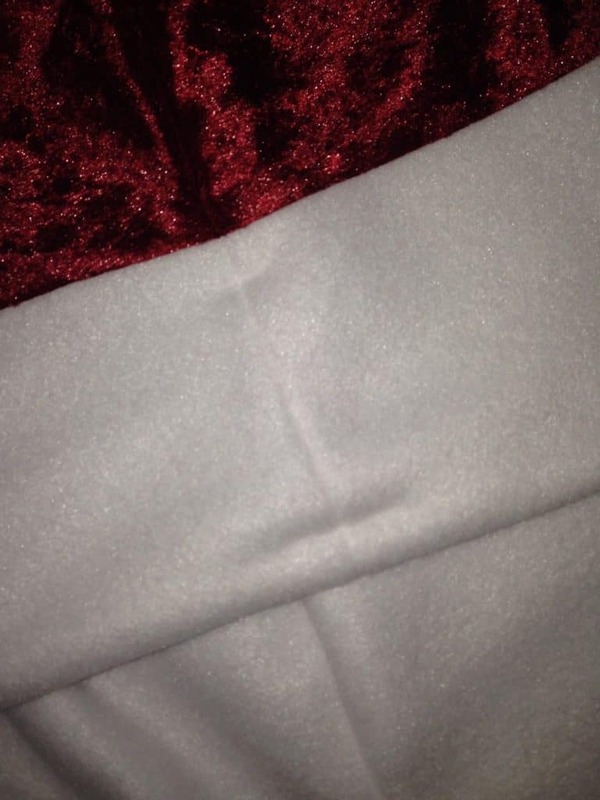 տակառիկ, stitch and grade the seam allowance. Clip the center front points to allow the fabric to lay flat once turned to the RIGHT SIDE. 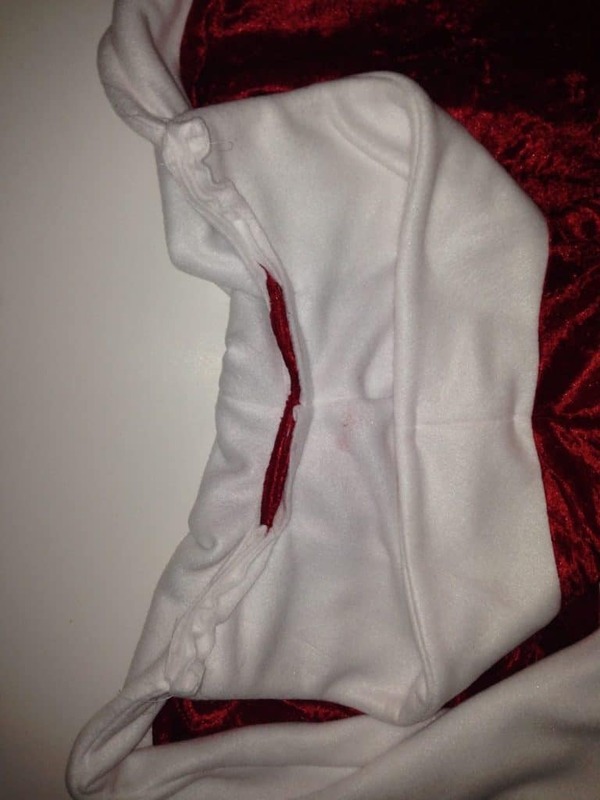 Take the HOOD and roll the hood opening seam flat and pin. Stitch a few stitches in the trim close to the seam allowances of the OUTER HOOD 2. This will keep the INNER and OUTER HOOD firmly in place. 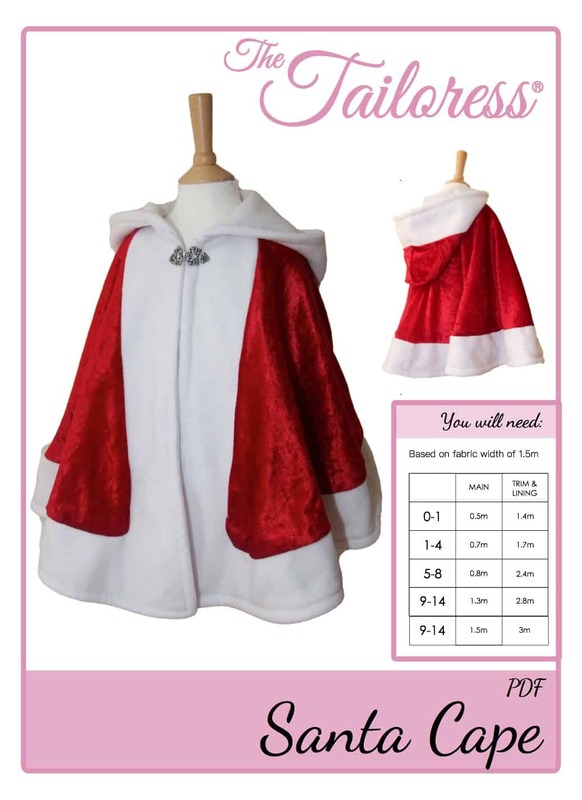 Pin the neckline of the HOOD to the neckline of the cape. Start from the center back then the center front and ease the rest between. 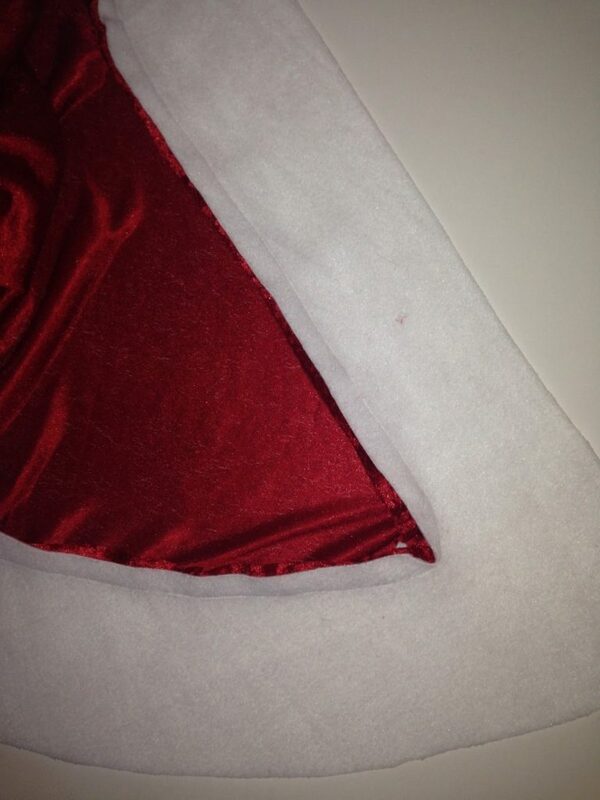 Grade the seam allowances with the INNER HOOD seam allowance being the longest to cover the others. Top stitch from the RIGHT SIDE of the neckline to secure and neaten. 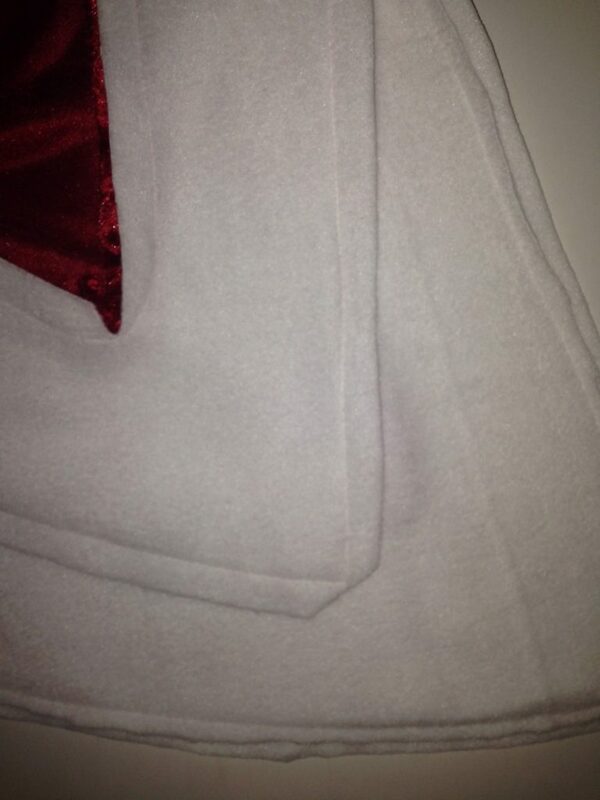 Top stitch around the circumference of the cape and hood approximately 1cm in from the seam edge. 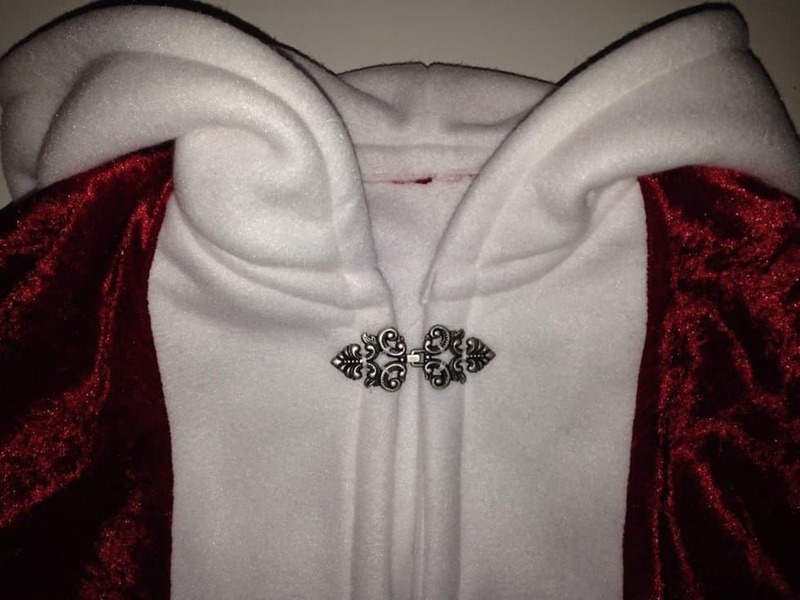 Add a decorative clasp or hook and eye to the neckline.